Amazing Gracie’s Gift Foundation is an organization that is dedicated to provide support, hope and memories to families fighting pediatric cancer or a life threatening illness. We know that memories are one of the most important gifts you can have when your child is faced with a life threatening disease. Our hope is to help families create memories that will last a lifetime. We are one of the very few foundations that will help families with children under the age of 2 ½ create everlasting memories. Our mission is carried out in three unique ways to help families get through the toughest times in their lives. Geoff and Lisa Lawton are Gracie’s parents. They are also the president and vice president of the foundation. Luke is Gracie’s brother. He wishes his sister never died and misses playing with her. The hopes and dreams our family had for our little girl are now gone, but not forgotten. The dreams for her future have changed. Instead of planning college or her wedding we are planning on helping others in Gracie’s name and honor. Kendra Clarke is a current LPN student. One word to describe Kendra is compassionate. Kendra is always showing sympathy and concern for others. Kendra feels that a child’s illness affects so many individuals leaving a feeling of helplessness in the parents, family and friends. A child is an innocent spirit and should not have to go through such emotional, and physical pain. 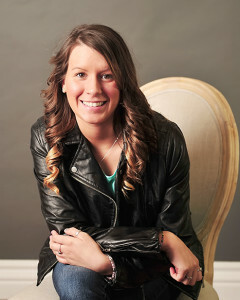 While she was a student at West Canada Valley High School she had the opportunity to be involved and to lead fund raising events for multiple students with a form of Childhood cancer. While on the board she would like to continue to assist in providing families with the support they need to create fond memories with their loved one. Chris Lawton works as a Municipal Engineer. He is also busy at home as a husband and father of 2. One word used to describe Chris is happy. 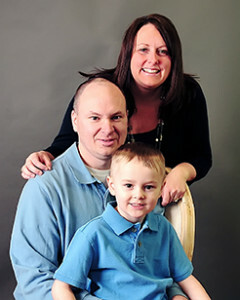 Chris strives to bring a feeling of happiness to everyone he meets. We’re glad he was able to share his happiness with his niece, Gracie and with us during our hardest times. Chris saw how one beautiful little girl inspired a community to come together and create and army of Hope; and he now strives to see how much hope the foundation can inspire in others. When it comes to childhood cancer Chris feels it is totally unfair, unacceptable and absolutely beatable. Ken and Barb Lawton are Gracie’s Nana and Papa. 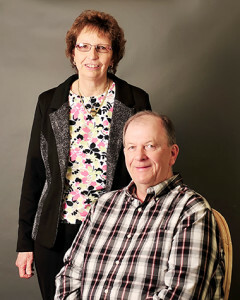 They are both retired and busy spending time with their children and grandchildren. Having had the devastating firsthand knowledge of how an illness of a loved one can affect/change your life, they are determined to help provide others going through a similar situation with some positive memories of happy days with their own families. Ken and Barb feel that losing a loved one is so very hard but when it is a child, it seems even worse… we expect parents and older persons to precede us but never our children. They believe that childhood cancer is a fact in our lives but if we can help find acute for this terrible illness, we can make so many more memories to last a lifetime. Bob and Carol Mocko are Gracie’s Mimi and Grandpa. 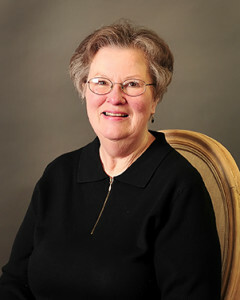 Carol is retired and is always there to help take care of their grandson, Luke. Bob is a retired financial advisor and Gracie’s Grampa. Now that they are both retired they will be traveling and spending time with their families near and far. One word to describe Bob and Carol is compassionate. They are always helping others in need. In the turmoil that was Gracieʼs last 8 months in this life they saw and learned a great deal. They saw Gracie dying and there was little they or anyone could do about it. They saw their daughter and son-in-law suffering and blaming themselves for Gracieʼs illness and desperately trying to save her. They saw friends so concerned about us that all they wanted to do was help in some small way. They saw the medical community do battle, against all odds, over and above what was expected of them. They saw an amazing charitable organization in Albany open their doors to their children to keep them warm and safe when they were alone and couldnʼt come home. They saw whole communities come together to let us know they were thinking and praying for all of us. They learned from all of this that Gracieʼs life was more than just being with us for 21 months. They were taught that Gracie was here to help us understand that many others in this world need a helping hand. They want to be that helping hand. 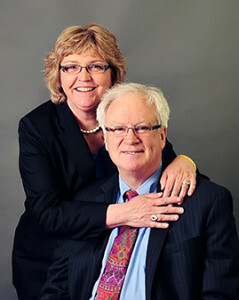 Alison and Cliff Eisenhut are a great duo to our board. Alison works as a Special Education teacher and was Gracie’s Godmother. Alison always volunteers to work at our hospital and the Ronald McDonald House, her thoughtfulness is always appreciated by the patients and staff in these places. Cliff works as an attorney and continues to do a tremendous amount of work to make our 501c3 status run smoothly. Cliff’s focused personality is a great asset to our board. 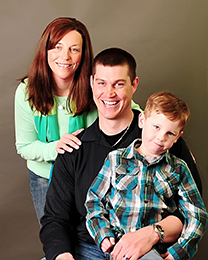 As board members, Cliff and Alison appreciate the opportunity to support families and their children during their battle. Being able to provide financial assistance and memory making experiences for families through the foundation, while spreading awareness for childhood cancer, has been fulfilling. One lasting gift that Gracie gave them is that her life brought this great group of people together from different parts of our community to form this foundation for the common purpose of helping seriously ill children and their families. They are honored to be a part of it. Since Gracie’s diagnosis, their eyes have been opened to childhood cancer. The facts and statistics are alarming, and the causes are not well understood. Children and their families should not have to battle cancer or any life threatening illness. They should just enjoy being a kid without the stress of treatments, hospitalization, missing school, etc. They are determined to do anything they can do to lessen the burden of these illnesses on the children and their families and to help in adding moments of happiness to their lives. Diane and Jeff McTiernan are Gracie’s great Aunt and Uncle. Diane works as an investigator and Jeff works in property management. 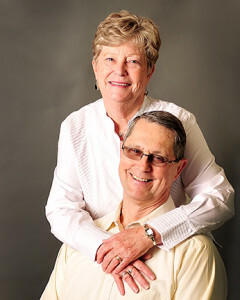 Jeff and Diane are very sociable, gregarious, and generally just fun to be around. As a result they bring energy and liveliness to our events. They promote our events and make guests feel welcome and comfortable, all the while showing their strong sentimental feelings to help others through the foundation. They are involved in Amazing Gracie’s Gift for the love of Gracie. The love they showed Gracie and her family during her illness was abundant, they continue to show that love in their involvement in the foundation. Diane and Jeff have strong feelings when it comes to cancer. They know that childhood cancer or any cancer is non-discriminate. You never think it can happen to you, or that’s what they thought. They were quickly introduced to the cancer world when their great niece, Gracie and Jeff’s brother, Jay Andrew were diagnosed, fought and lost their battle with cancer. 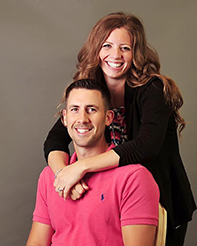 Matt Watkins and Brittney Johannssen are friends to the Lawton’s and they both bring a great vibe to our board. They are passionate and excited to add and bring new ideas for events and fundraisers to our foundation. They both are hardworking, genuine individuals who give everything their best. 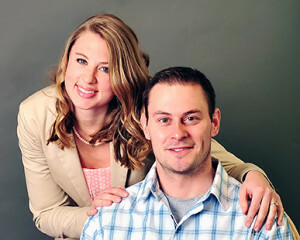 Matt is a high school English teacher and Brittney is a Family Service Coordinator at Kids Oneida. They are on the board to help families in any meaningful way possible as they go through the toughest times of their lives. They also feel that being on the board allows them to see firsthand and greatly appreciate the way our community rallies to aid those in need. 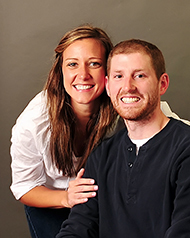 Matt and Brittney feel that cancer and other life threatening illnesses in children are absolutely heartbreaking. Pain and suffering in an innocent always is unfair and wrong. Todd and Alania Phillips are two very caring individuals. If we need help with events or just need to chat about the challenges and/or the great things happening in the foundation these two pick up the phone, listen and then take action. Alaina can be described as exuberant. She is filled with energy and excitement, which is a great asset to our board and in foundation events. 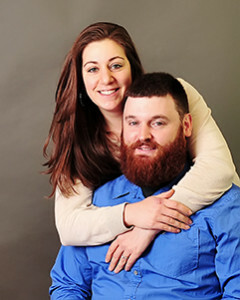 Todd is an Environmental Specialist and Alaina works and manages her family owned restaurant. They are involved in the foundation because there is no greater feeling than helping people in times of need. 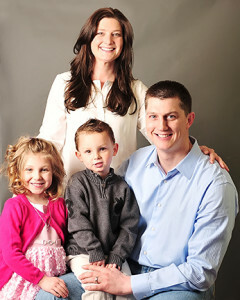 Millie Ritter is a busy mom of 3 beautiful girls, a nurse, and also owns her own business. Millie is the person everyone goes to when you have a problem and need some cheering up. As our former school nurse, she was always there for myself and my colleague friends as Gracie was battling cancer. Millie has a heart of gold and would do anything for anyone. Tony Acri is a very generous businessman and supporter of our foundation. He played a key role in getting our foundation started and continues to help in its success. Tony and Millie’s friendship and involvement in Amazing Gracie’s Gift Foundation is priceless.